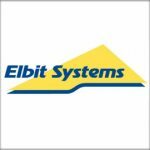 Elbit Systems of America (Nasdaq: ESLT) agreed to acquire the night vision business of Harris Corp. (NYSE: HRS) for approximately $350M. Harris said Friday the transaction is conditioned upon completion of its proposed merger with L3 Technologies (LLL) and customary closing conditions that include a receipt of all regulatory approvals. Stockholders from both parties cleared the combination last week. “The market position and technological strength of Harris Night Vision make this acquisition significant to our long-term growth strategy with a particular focus on the U.S. Elbit Systems of America which has a proven track record of providing high performance solutions and support services to the U.S. defense and homeland security markets,” Bezhalel Machlis, president and CEO of Elbit Systems Ltd., said in a statement. Harris has led the industry for over 50 years. Warfighters in the U.S. and globally rely on Harris premier night vision and image intensifier technologies for enhanced threat detection and mission performance. The company produces more night vision devices than its competitors combined and continues working with customers to advance night vision and vision-enhancing capabilities, technologies and performance. The Harris F5032 Lightweight Night Vision Binocular is the latest innovation in the field to answer the challenges of size, weight and power while also increasing warfighters’ low-light capabilities and introducing the industry’s leading close focus range giving soldiers superior near eye clarity.